How do Manhattan women remain so stunningly svelte, despite the fact that New York has more top restaurants than any other city on the planet, not to mention a bagel bar or pizzeria on nearly every corner? They eat out often, indulge in all types of cuisine and even sneak in junk food, but manage to stay trim and toned nonetheless. So what's their secret? Now you can learn to eat, lose weight and live your life the way chic New Yorkers do - and enjoy the same fabulous results. 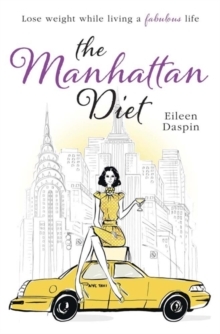 Manhattan insider Eileen Daspin reveals what real New York women - including celebrities like Sarah Jessica Parker, Anna Wintour and Tina Fey - really think about dieting and how they shop for food, cook, order in restaurants, eat, cheat, and splurge. Discover their eating secrets and waist-trimming tips, plus a detailed weight-loss program and 28-day eating plan that will fit easily into your personal lifestyle. 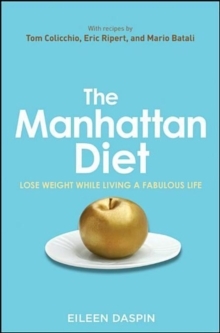 Along with wisdom from leading nutritionists, tips from celebrity trainers and recipes by New York's most celebrated chefs, The Manhattan Diet gives you everything you need for a slim and stylish life - wherever you live.